After a week, my strawberry vinegar was ready to be bottled. 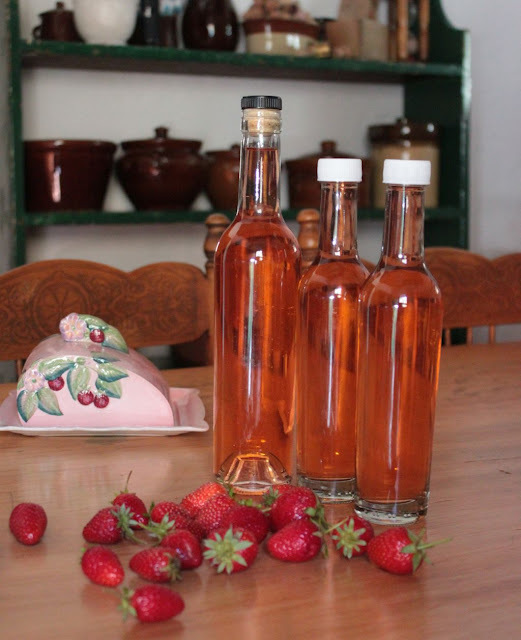 I filtered the rose coloured liquid into bottles for later use. 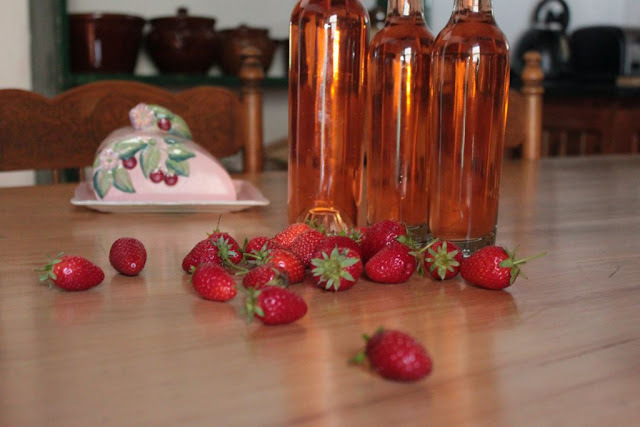 Strawberry vinegar can be used as fruity vinaigrette over salads, drizzled over fish, or even used over ice cream. 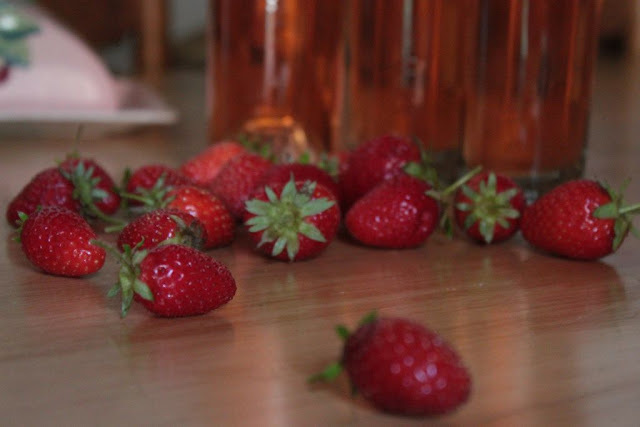 I will forego the ice cream idea, as I decided to leave the sugar out of the recipe and concentrate on a light strawberry and pepper flavour for hot summer days and al fresco meals. Sounds perfect for summery salads and fish dishes. Thanks for the interesting post.